Google neutrality? | America loves Sporks! 5 Responses to Google neutrality? Many google and youtube employees and contractors are not US citizens and they are meddling in our Democracy. Looks to me that Google thinks the world is no older than 30 years. Who was that propaganda master – Bormann? Goebbels? I believe he would approve of Google’s efforts here. They could not have dreamed of the “self-spying”, data detail, and mass mind control being conducted in the USA. However, Goebbels did foresee the power of TV (video) as a propaganda and hypnosis tool, he wanted to give the volk free televisions. 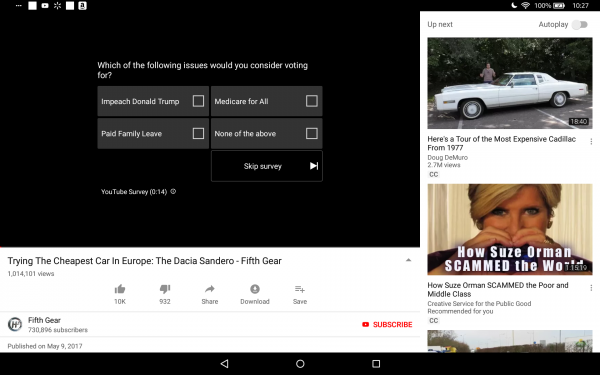 The last two choices in the Google poll are curious. I think checking the first 3 mark you as a ‘liberal’… while “None of the above” marks you as ‘friend’, and “Skip survey” tags you as ‘hostile’. i.e. Everything on the page counts as a vote.